This is a small look at the film work of three brothers who were born in Austria/Hungary at the end of the 19th Century and influenced the motion picture industry for 50 Years (1914 and 1964). Alexander was born Sandar Laszlo Kellner in Pusztaturpaszto Austria/Hungry on September 16,1893. Zolton Kellner would be born on June 3, 1895. While Vincent Kellner followed two years later on June 22, 1897. As I have written in other articles a blog is just that a blog, It is not designed to be a means of writing a full biography of a person. Let alone three brothers whose careers intersected with each other. Therefore, I will be combining events in the life of the Korda Brothers and as I first mentioned concentrate on some of the truly influential motion pictures. After the death of their father Alexander found himself both a high school student and the head of his family. He became involved in Left Wing organizations that were opposed to the then current government in Austria/Hungry. As a high school student he was not permitted to write articles in opposition of the government, So the young journalist adopted a pen name: Sandor Korda. I could not locate the origin of the last name Alexander used in his writings. A name all three brothers would adapt as their legal last name. Alexander began writing for Hungarian film magazines and his articles led to both his first screenplay and the directing of his first motion picture. The 1914 motion picture was titled "Orhaz a Karpatokban (Watchhouse in the Carpathians)". By 1919 Alexander Korda was the major film maker in the newly created Hungarian Film Industry and had a studio of his own. World War One had found Zolton Korda in the Hungarian Cavalry and upon his return he became a film editor for Alexander's motion picture company. . While younger brother Vincent had a desire to be a painter and was studying painting and art design at the Budapest Art Academy and in the early 1920's found him designing sets for plays. In 1926 Alexander and Zolton left Europe for the United States and worked in the film industry here, but it didn't work out. One of the main reasons was Alexander's first wife the actress Maria Corda could not make the transition to sound films with her strong Hungarian accent. This fact started to strain their marriage. Another major problem was the fact that both brothers could not adapt themselves to the "Hollywood" studio system. Six years after their arrival in the United States, 1932, found the brothers both in the United Kingdom and things about to change. In 1931 Alexander formed "London Films" and within two years he would be established as one of the premier film makers in the world. Each of the three brothers would be involved in a group of classic motion pictures crossing multiple genres and at times working along, or with each other. The reminder of my article is a look at some of these pictures starting with the film that brought the name KORDA to the world. After Alexander had directed 56 motion pictures primarily in Europe. Produced another 12 films and written six screenplays came a historical story that evolved beyond Korda's plans for it. Released August 17, 1933 and produced and directed by Alexander Korda "The Private Life of Henry the VIII" brought British films to center stage, It would make an International star out of Charles Laughton and co-star Korda's future second wife Merle Oberon. Designed originally as a vehicle for Laughton and his wife Else Lanchester the future "Bride of Frankenstein". The film developed into a look at five of Henry's first six wives and Lanchester dropped to six billing. The sets and overall look of the film was designed by brother Vincent. This was his fourth collaboration with Alexander. 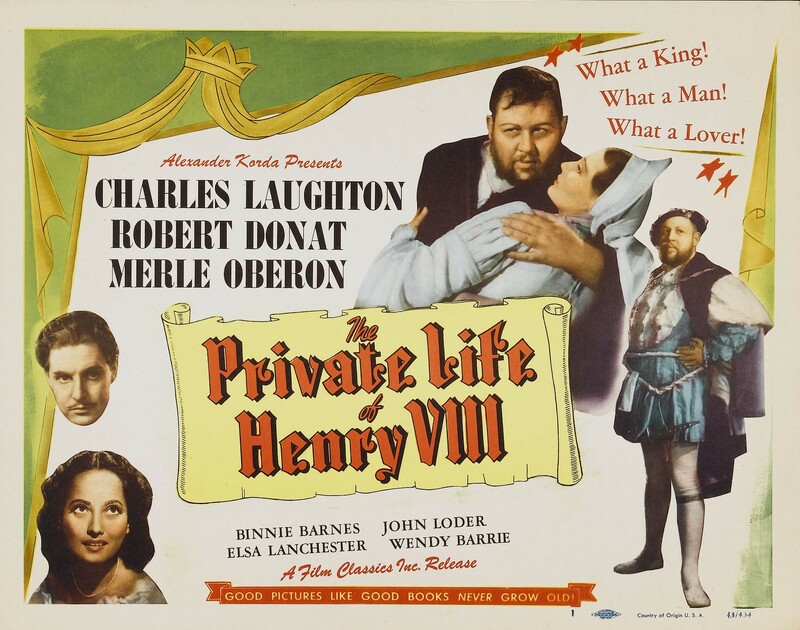 "The Private Life of Henry the VIII" became the 12th most successful motion picture in the United States in 1933 and earned two Academy Award nominations. 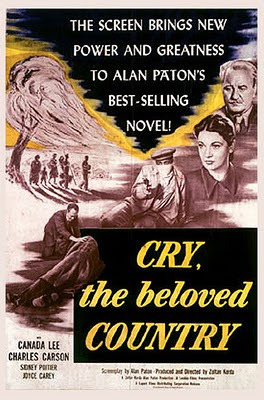 One for Best Picture the first foreign made film to do so and a second for Charles Laughton as Best Actor which he won. 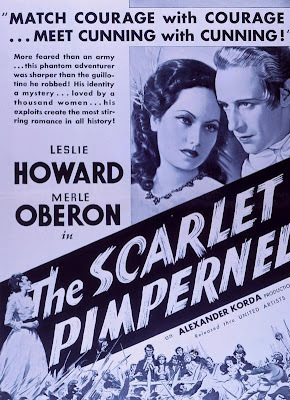 On December 23, 1934 Alexander Korda's London Films released "The Scarlet Pimpernel" starring Leslie Howard, Merle Oberon and Raymond Massey. Originally producer Korda had wanted Laughton for the role of Baroness Orczy's fictional hero who is smuggling people out of France during the Revolution. He was wisely over ruled by the fans of the 1908 novel and Howard, Ashley Wilkes in "Gone with the Wind", was cast. The result was perfect. However, it was two years later when Alexander and Vincent came together on a motion picture written by H.G. Wells "Things to Come". This science fiction classic may have out dated special effects that some viewers have commented upon as being cheap, but it is also has a screenplay written by Herbert George Wells himself. A screenplay that reflected his political views and his imagination of a future Earth after a Great World War based upon known concepts in 1935 when filming began. The original novel "A Shape of Things to Come" was written by H.G. Wells in 1933. The story tells of "Every Town" from 1940 through 2036. Where we first meet Raymond Massey as a young John Cabal. Who, as with the viewer, witnesses an unnamed country, remember 1936 was three years prior to Hitler invading Poland, let loose a war on the entire world. Well's script moves forward based upon this premise, interesting that he was off by three months to start his World War, as mankind reverts to individual groups under "War Lords". Massey's John Cabal now much older lands his plane in what was once his home "Every Town" to find it under the rule of Rudolf aka: "The Boss" played by Ralph Richardson. This leads to Well's belief that only science can save mankind and as "Every Town" is freed by releasing the "Gas of Peace", remember this was made after WW1 were gas was a main weapon, the story switches to the future. Where we meet once more Raymond Massey, but this time as his grandson Oswald Cabal. Life is not all perfect and their is a small resurrection lead by Theotocopolis portrayed by Cedric Hardwicke. The motion picture was produced by Alexander Korda, and the designing of all the sets for the picture was the work of Vincent Korda. William Cameron Menzies directed. 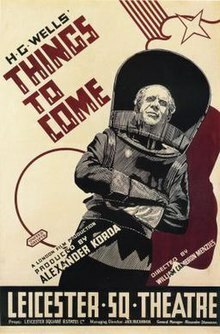 Like "Things to Come" "The Man Who Could Work Miracles" was produced by Alexander and designed by Vincent Korda. The story tells how two Greek God like characters pick an ordinary man and give him the power to work miracles as the two argue over mankind in general. February 8, 1937 saw the release of a motion picture directed by Zolton Korda and produced by Alexander "The Elephant Boy" Rudyard Kipling. The picture tells a simple story set in India about a young boy wanting to become a great hunter. The picture itself is nice, but of interest here is the actor who portrays the title character Toomai. This was the film debut of 13 year old Sabu Dastagir better known simply as "Sabu" who would be a major actor in several of the Korda Brothers films including one fantasy classic I will be mentioning shortly. The following year saw the release of "The Drum" released in the United States as "Drum". 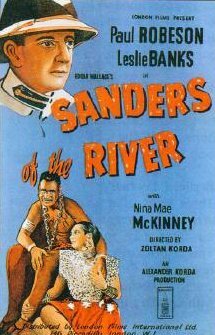 The movie was produced by Alexander,directed by Zolton, designed by Vincent and starred Sabu. In 1902 A.E.W. Mason wrote the novel "The Four Feathers". Between 1915 and 2002 there would be seven filmed versions of the novel. Considered the best version was the Korda Brother's 1939 film. Which makes the third part of "The Empire Trilogy". A Trilogy never planned as the first film took place in Nigeria, the second in India and the third in the Sudan. However, together they form with all the prejudice showing a glimpse of the British Empire of the period. Once more all three brothers were involved in the production of "The Four Feathers" which starred John Clements, Ralph Richardson, C. Aubrey Smith and June Duprez. The battle scenes are marvelous and director Zolton Korda clearly drew upon his own experiences. The story revolves around Harry Faversham. Who on the eve of his regiments departure for the Sudan resigns his commission. His three friends now consider Harry a coward, Each man gives Faversham their calling card with a white feather the sign of the coward attached. The fourth feather comes from a confrontation between Harry and the women he loves. "The Four Feathers" is a story of redemption as Harry Faversham goes to the Sudan disguised as a mute Sangali native. Then proceeds to saves each of his three friends and lead an escape from a prison to take over the enemy's arsenal. In the end everyone is reunited back in England and Harry wins his lady love. In 1955 Zolton Korda would release "Storm Over the Nile" a remake of the 1939 movie. Zolton produced and co-directed the picture with Terence Young. The cast was Anthony Steel, Lawrence Harvey, James Robertson Justice and Mary Ure. Korda used most of the action footage he had original shot from the 1939 classic stretched to fit the CinemaScope format used. In 1939 Alexander also married Merle Oberon. I now arrive at the most memorable and honored of Alexander Korda's productions 1940's "The Thief of Bagdad".A film that almost wasn't completed, because of the outbreak of the Second World War. The production was started in London and finished in California. It had six directors. Three credited: Michael Powell, Ludwig Berger and Tim Whelen and three not: Alexander Korda, Zolton Korda and William Cameron Menzies. The picture was nominated for Four Academy Awards and won three. Starting with Best Cinematography George Perinal, Art Direction Vincent Korda, Special Effects Lawrence W. Butler and Jack Whitney who used blue screening for the first time on a major motion picture. The fourth nomination was Original Musical Score. The story begins when "Adviser" Jaffar convinces the King to go out among his subjects dressed as a beggar to see how they really feel about him. Once the King has left the Palace. Jaffar arranges to have the beggar, who claims to be the King, arrested and jailed. However, the King meets the Thief in jail and he arranges for their escape. They go to neighboring Basra and Ahmed sees and falls in love with the Princess. When Jaffar discovers that Ahmed and Princess are in love. He casts a spell to temporary blind the King and has the Princess captured and sold to slavers so he can buy her. To stop Ahmed and Abu. from rescuing the Princess. Jaffar turns Abu into a dog. The spells Jaffar has cast on Ahmed and Abu can only be broken if Ahmed and the Princess embrace. So begins a great fantasy film that will involve flying carpets, mechanical toys of death, a Genie with its own agenda and an epic search for "The All Seeing Eye". Should some of this sound a little like Walt Disney's "Aladdin" that is because this film is the source story. The film was nominated for four Oscars and won for Best Sound. !942 saw Alexander Korda being Knighted for his contributions to the "War Effort". United Artists lent him $300,000 to finance his next picture the live action version of Rudyard Kipling's "The Jungle Book". Sabu was back this time playing Mowgli and the movie would be nominated for Four Oscars. 1943 found Zolton Korda directing a very taut and outstanding war movie "Sahara: starring Humphrey Bogart. This story of a tank crew cut off in the Libyan desert attempting to get back to their lines is a well directed and acted story of survival. It is a must for both "Bogie" and WW2 movie fans. The film output for Alexander and Zolton was slowing down at this point. In fact the biggest movie related situation of 1944 had nothing to do with the brothers, but Sir Alexander Korda's wife Lady Korda aka: actress Merle Oberon. In 1944 "Proper" British society were shocked that her Ladyship would appear in the 20th Century Fox motion picture "The Lodger". 1, She played a young women who sang at a Dance Hall. 2. The 1913 novel by Marie Adelaide Beloc Lowndes the film was based upon had to do with Jack the Ripper. After World War 2 ended there were only a few films involving Alexander and Zolton ending, as I mentioned before, with "Storm Over the Nile" in 1955. While Vincent continued into 1964. Here is a small look at some of the last of the brothers better pictures from this period. 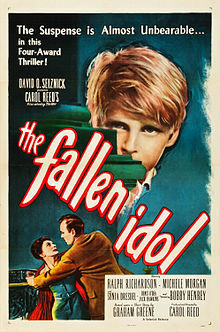 Co-Produced by Alexander with the production design by Vincent was 1948's "The Fallen Idol" aka: "The Lost Illusion": The film starred Ralph Richardson as a diplomat's butler who is idolized by a young boy based upon his adventures that took place in Africa. It is all a story to make him look larger in the boys eyes, but problems occur when the butler's wife falls from a balcony. It is an accident, but thinking he is protecting his idol from a murder charge. The boy inadvertently causes the police to be suspicious of the man. 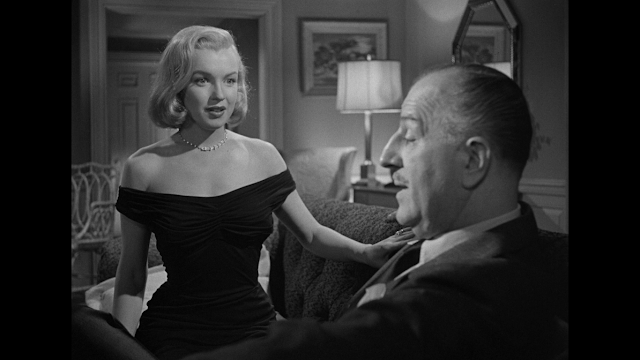 The movie was nominated for Best Director Carol Reed and Best Adapted Screenplay Graham Greene from his own novel. It won the BAFTA for Best Picture. Another Graham Greene novel appeared on screen the following year. Although it was released by Sir Alexander Korda's film company his involvement was once more a co-producer and one name out of four. While Vincent for set design was one name out of seven in the art department. Zoltan as with the previous movie was not involved. Once more Carol Reed directed and Graham Greene adapted his own novel. The motion picture starred Joseph Cotton, the actress Valli, Trevor Howard and as the elusive Harry Lime Orson Wells. This was of course the great suspense thriller "The Third Man". Otherwise all three men would have been arrested and imprisoned. It was a bold gamble that paid off in an excellent motion picture well worth my readers viewing. On January 23, 1956 Sir Alexander Korda passed away at the age of 62. On October 13, 1961 Zolton Korda died at the age of 66, Of the three brothers only Vincent remained to carry on the name and the year following Zolton's death he would receive an Oscar for his contribution for Best Art Direction in Daryl F. Zanuck's massive all star motion picture about World War 2's European Invasion D-Day the 6th of June "The Longest Day". On January 4, 1979 at the age of 81 the last of the three Korda Brother's Vincent passed away and an era in British film history ended.